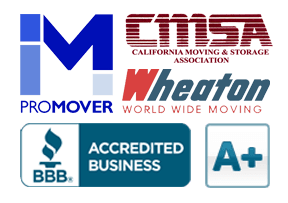 Moving Checklists – Part 1 | Cummings Moving Co.
Ah, yes planning for a move. This is time you really want to work with checklist. Moving can be stressful and takes a great deal of personal band-width. Do a “data-dump” and get the details OFF your mental hard drive and onto a checklist or into a moving binder. What it will save you in time, happiness and sanity – PRICELESS! In this two-part blog series we help you prioritize and plan the month or two before your move. We provide helpful check-lists, reminders about questions you need to ask and information about important details that often get overlooked. Create a Moving Binder – Sure there are apps out there and we will discuss them in the future. When making a big solo move across country or with your family across town, we find a binder to be the most effective solution to taming the monster of Moving Mayhem and is HOME for ALL the info you need at your fingertips. Calendar pages for the 2-3 months leading up to your move and one month afterwards. Divider Tabs – For sections like contacts/resources, repairs, warrantees, to-do this week, personal docs, paperwork for movers, reservations for move-related travel, medical records, insurance papers, etc. What Goes Into Your Moving Binder? Remember, while technology is great, perfect connectivity is not always guaranteed – “Can you hear me now?” This is where your Moving Binder comes in handy and could be a Lifesaver! A moving calendar helps you see the BIG picture as well as the daily details. It contains the months before and weeks after your move and will help you stay on track. When you’re in the middle of a move and juggling details, time can easily get away from you. Do your best to come up with a comprehensive schedule beforehand and stick to it. It may feel like too much structure, however, structure and planning equal 90% of a successful move. A sense of humor and flexibility make up the remaining 20%. Yes, moving requires 110% and we know you are up to the task. Let us know if you need help.